Fits snugly over the curves of your iPhone X without adding bulk. 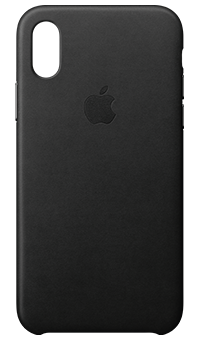 Microfibre lining gives your iPhone added protection. Made with specially tanned French leather. The high quality finish on this smooth leather case matches the machined aluminium buttons on your iPhone X while the microfibre lining provides great protection. The iPhone X Leather Case has been made from specially tanned and finished French leather, so the outside feels soft to touch and develops a natural patina over time. Provides a snug fit over the curves of your iPhone X without adding bulk. And you can keep it on all the time, even while you're charging wirelessly.